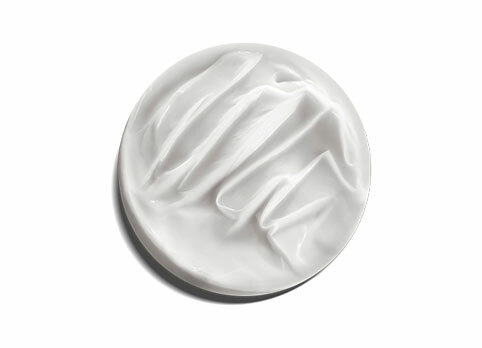 Fondant Chromatique Travel-Size Conditioner is rated 3.2 out of 5 by 18. Apply a quarter size amount of Fondant Chromatique onto mid-lengths and ends of wet hair, distributing evenly. Leave on for 2-3 minutes then rinse thoroughly. For best results, start your color care routine with Bain or Bain Riche Chromatique. Rated 5 out of 5 by New to Kérastase from Lightweight and effective This conditioner (used with the sulfate free shampoo) is perfect for my hair! My hair is fine, and thin to medium in density, and it can be weighed down easily by products. My hair is also dry and a bit damaged on the ends so it also needs some treatment. This conditioner manages to smooth my hair and not weigh it down. I’ve only used it with the sulfate free shampoo which leaves my hair clean and moisturized as well, so I can’t comment on how the conditioner is with a different shampoo. The conditioner is somewhat thin in consistency but it does it’s intended job. Rated 5 out of 5 by Marilyn from Light and Effective This conditioner is light and very moisturizing. You only have to use a small amount to thoroughly cover your hair. I buy the conditioner every time I buy the shampoo. I highly recommend the conditioner. Rated 1 out of 5 by jp_in_tx from Wish I would have read reviews before purchasing - Unfortunately I did not read reviews before purchasing this product. Had used other Kerastase products and had great results....but not with this one! Agree with other reviews that product is watery to the point of that you don't even have to squeeze the tube to make product flow. Very poor packaging. I found that I had to use double the amount of the product (as compared to shampoo) to cover my hair AND it was difficult to tell if it was even on my hair because of the thin consistency. Do not understand how this product could nourish and provide protection. After rinsing, my hair did not feel like it had been conditioned. Poor reviews have been posted for over a year on this product yet it is still for sale??? Why have they not taken it off the market and improved? Going to call customer support and ask for refund or to send different product. Considering the price I paid for this product, I DO expect to be satisfied. Would give negative stars if possible. This product is not in line with the high quality and exceptional user experience provided by other Kerastase products. Buy a different conditioner in this brand, not this one! Rated 2 out of 5 by Bridget from Miss the old formula, Chroma Thermique I found a full container of Chroma Thermique, and my hair is fantastic again. I understand that Kerastase changed this product to be more color protecting, but the results are absolutely not the same as before. I do wish you would bring back the old product even if you have to market it differently in this line, just google it and see what people are willing to pay for the old formula. I would certainly buy it exclusively again. Rated 4 out of 5 by rowena68 from Perfect! It is super light and love the scent, not overpowering. Just need to change the cap to flip-top caps. That’s all! Rated 3 out of 5 by psquared from Good product, super lousy packaging Love the product but can't understand how any packaging doesn't have a flip top! You have the product in your hand and then you're trying to put the cap back on because the tube doesn't stay upright on the shelf when opened. Ridiculous. Same with the shampoo....no flip top. No one needs more hassle in the morning getting ready for work! Change the packaging ASAP! Bain Chromatique Riche Travel-Size Shampoo Hair color protecting shampoo. Masque Chromatique Riche Travel-Size Hair Mask Hair color protecting hair mask.